Superdrug’s Vitamin E range is my latest obsession; the quality and diversity of the line is a welcomed surprise. 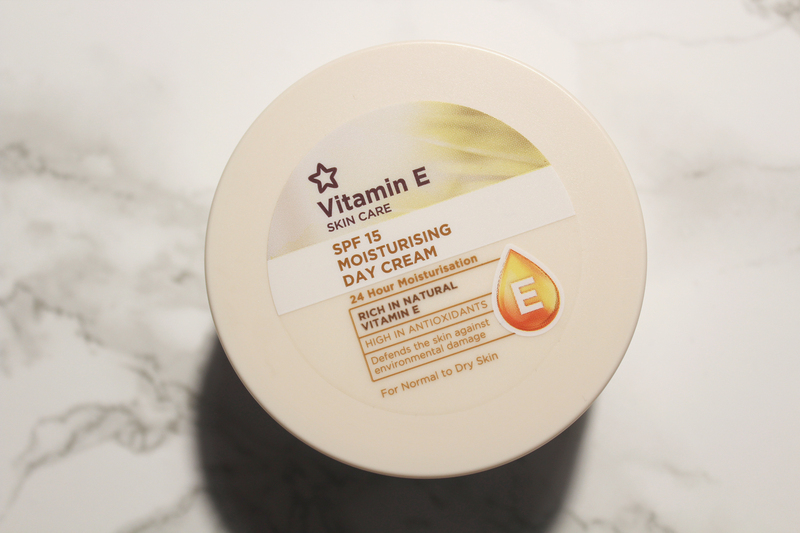 A standout product, Superdrug Vitamin E SPF 15 Moisturising Day Cream is my current go to despite being marketed for normal to dry skin. I have oily skin and I tend to avoid “moisturising” creams. 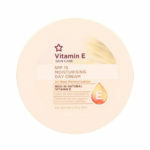 Such creams are usually too heavy for my face but Superdrug Vitamin E SPF 15 Moisturising Day Cream is rich and light. Whilst it does not tackle my excess sebum, it does provide moisture without triggering my skin’s sebaceous glands. 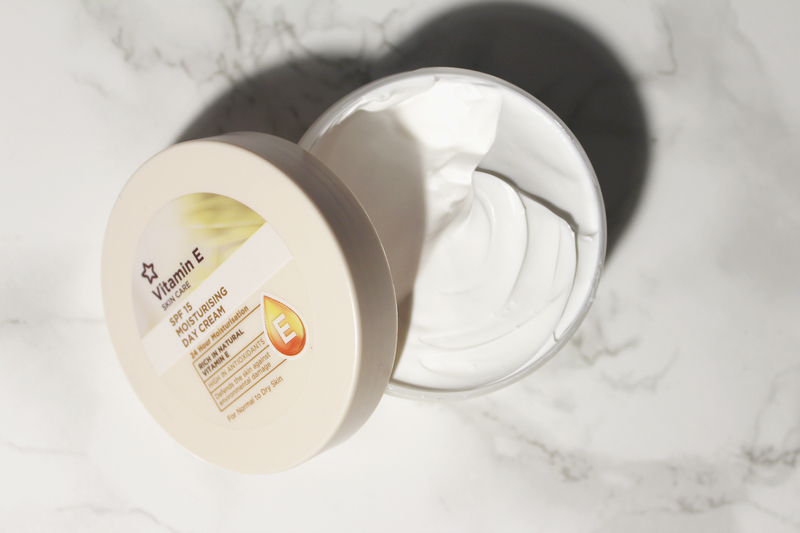 Superdrug Vitamin E SPF 15 Moisturising Day Cream is formulated to hydrate, nourish and protect skin against the sun’s UVA as well as UVB rays. Dermatologically approved, it is also said to “prevent environmental damage and premature skin ageing”. I don’t care for Superdrug’s marketing jargon but I am very impressed. 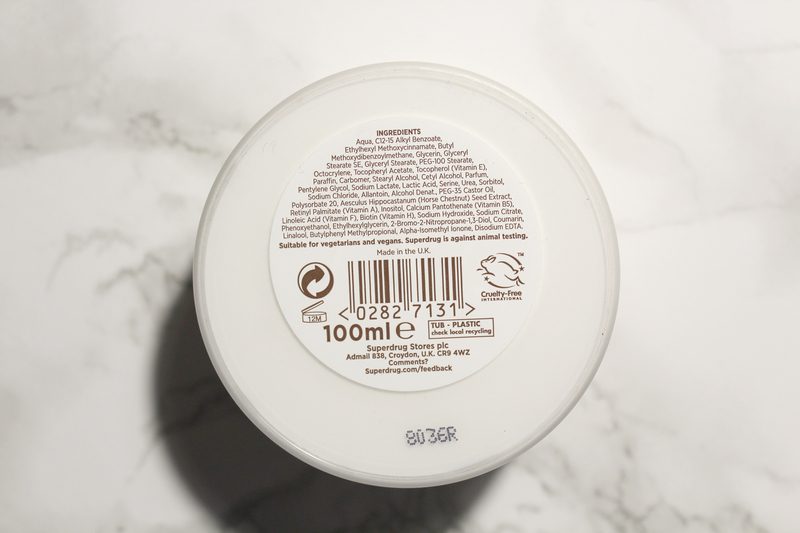 The scent of Superdrug Vitamin E SPF 15 Moisturising Day Cream is delicate; I don’t recognise it but I detect something nutty and buttery. Its consistency makes the product effortlessly applicable; a little goes a long way. However, there is one inconvenient con. As the product contains SPF, you’ll have to really work/massage it in to your skin. If you don’t, you will be left with the infamous white cast. Nonetheless, I think Superdrug Vitamin E SPF 15 Moisturising Day Cream is worth the effort. 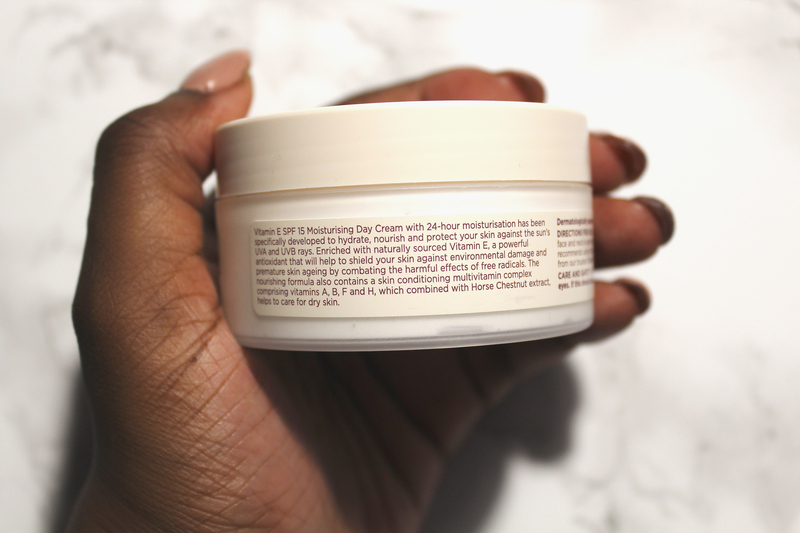 It has most definitely toned my complexion, providing a much-appreciated glow. It is also relatively cheap, £2.99 for 100ml. It is always on sale or part of a deal so I highly recommend you check it out ASAP!